“Put your own oxygen mask before assisting others”. I’ll admit, that does sounds really cliché. We understand the theory behind this statement all too well, but as we are living out our daily life (which is usually very busy and even chaotic at times!) we find our personal wellbeing as the last thing on the to do list, or the thing that is continually postponed. Most people think of bubble baths, massages, facials, or gym classes when they think of self-care. Yes, these activities may be relaxing or good for your health, but this isn’t what I’m talking about. 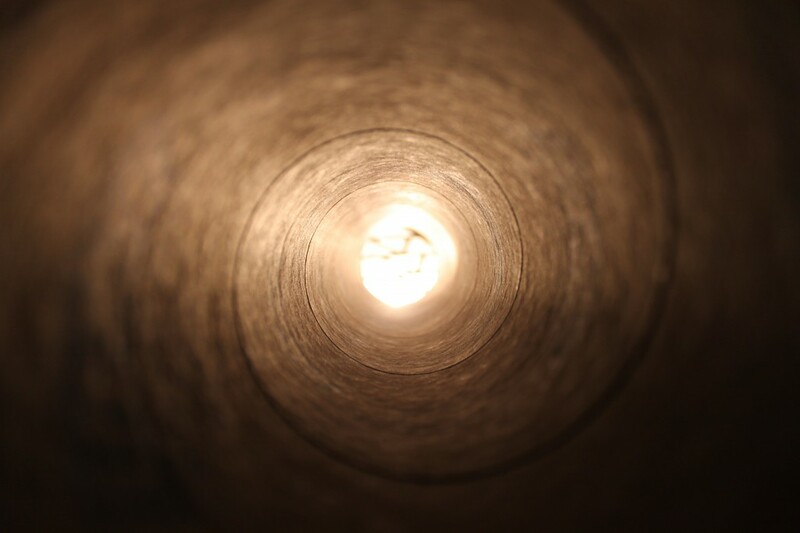 What busy mums need is time and space to reconnect with themselves – who they are, what their values are, what brings them joy or even healing. Self-care activities that achieve this may be guided meditation, writing in a journal or diary, walking in nature, reading a book or just laying on the couch doing nothing. You may feel uncomfortable and even guilty when you first start these type of activities, as the time may feel unproductive. However, being busy, stressed or overwhelmed can dramatically impact our health and these type of activities will restore balance to our central nervous system, and are therefore, incredibly productive for your mind and body. We know that self-care is important, but how can we make more time for ourselves and still be the attentive and loving mother we desire to be? 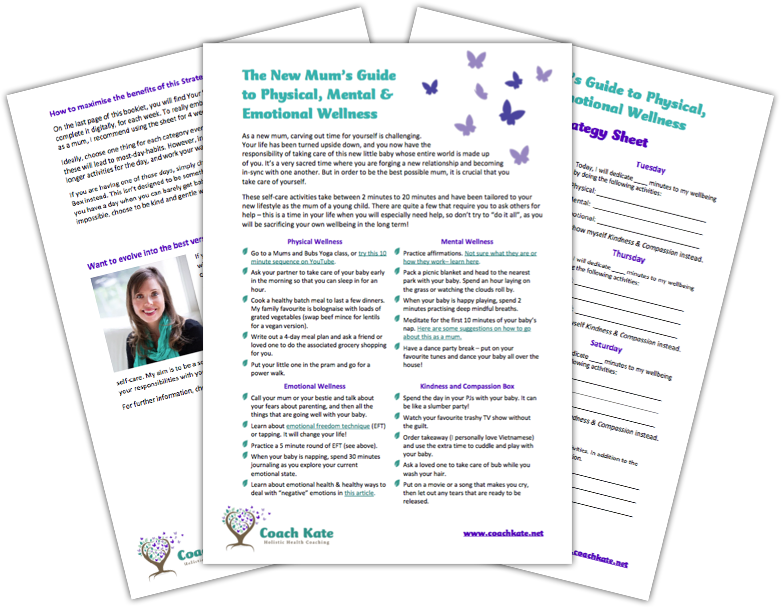 This entry was posted in mindset, Parenting and tagged mumlife, self-care on March 8, 2019 by Coach Kate. This entry was posted in environment, health and tagged filtered water, fluoride, water, zazen on February 19, 2019 by Coach Kate. Here I share with you my top 3 habits to kick if you want to be a happier and calmer Mum. By dropping these habits you will be far better equipped to cope with life’s (and your kid’s) curveballs! 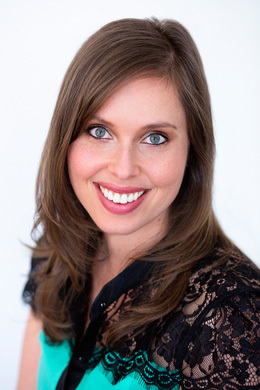 This entry was posted in Parenting on February 10, 2019 by Coach Kate. Electromagnetic Field (EMF) Radiation is a growing concern for me, and many other health professionals. I am an avid user of modern technology, so in this video I share with you the strategies and products that can reduce the harm caused by EMF radiation. EMF is created by most electrical appliances, but the biggest concerns are from wireless technology and mobile phones, because these radiofrequencies were classified by the World Health Organisation on the 31st May 2011 as ‘possibly carcinogenic to humans’. After further research into the concerns of wifi impacting children, we have hard wired our entire house so that 2 x desktops, 1 x laptop and 1 x Roku TV are connected to the internet via ethernet. I make a point of checking websites, social media or googling on the computers rather than picking up my mobile. However, we still have the issue of 2 x iPhones and 2 x iPads requiring connection for updates etc. For a regular refresh on the iPhones, or to connect an app to the internet, I (reluctantly) use mobile data. For the iPads, I connect to Bluetooth and tether to the iPhone and use mobile data. Bluetooth is not a perfect solution, however it is far less strong than wifi. When we have to update or back up our devices, we will turn on the wifi and limit exposure to 30 minutes. I am currently looking for cheats on how to connect our Apple devices to ethernet, although this is not simple. If hardwiring is not an option for you, try just turning on the wifi as you need it, and remember to turn off overnight. I am increasingly concerned about radiation exposure from mobile phones, so I always switch my phone on to airplane mode each night and leave the phone away from the bedroom. I have now started to leave my phone on airplane mode throughout the day, and turn on just a couple of times to check for messages. As I mentioned above, I try to use my computer rather than my mobile phone when at home, but this is a difficult habit to break. At least when I pick up my phone to google something, I see it’s on airplane mode and remember to use the computer instead. I personally have huge concerns regarding the safety of 5G network. In my opinion, this new technology has not been tested for long-term exposure. Imagine an infant that is exposed to 5G for it’s entire life? How do we know that he/she won’t develop cancer given that radiation has been deemed as possibly carcinogenic? There is also suggestion that 5G experiments have resulted in serious injury and even death to nearby wildlife, including birds and bees. Quite frankly, it really scares me. This entry was posted in environment, health, Parenting and tagged electromagnetic, EMF, EMR, radiation, wifi on February 1, 2019 by Coach Kate. Not the prettiest pic, but you can see just how big they actually are, as they take up the entire veggie crisper and still have space! If you aren’t into Tupperware or you’re looking for a more sustainable option to the plastic produce bags from grocery stores, these bags are your prayers being answered! They are cotton bags which have several layers, allowing the produce to breathe, but are designed to be kept moist to keep your produce fresh. I absolutely love our bags, and I’ve now been able to reduce our shopping to one big trip per week, as everything lasts so much longer. I honestly cannot recommend these highly enough. The initial outlay is a bit expensive, but the bags are really big and you can combine all different fruits and vegetables into the one bag. We bought a Starter Pack (4 bags different sizes), plus one additional bag and this is the perfect amount for my weekly shop. You can purchase from Biome or Nourished Life for $72.95. Such a simple solution to the plastic produce bags from the grocery stores, there are so many different options available now. 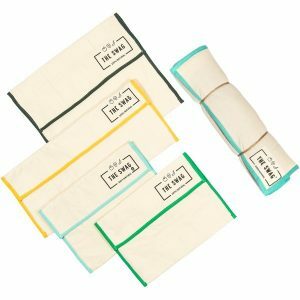 Most people use their own green bags to bring their groceries home, so reusable produce bags are the logical next step. 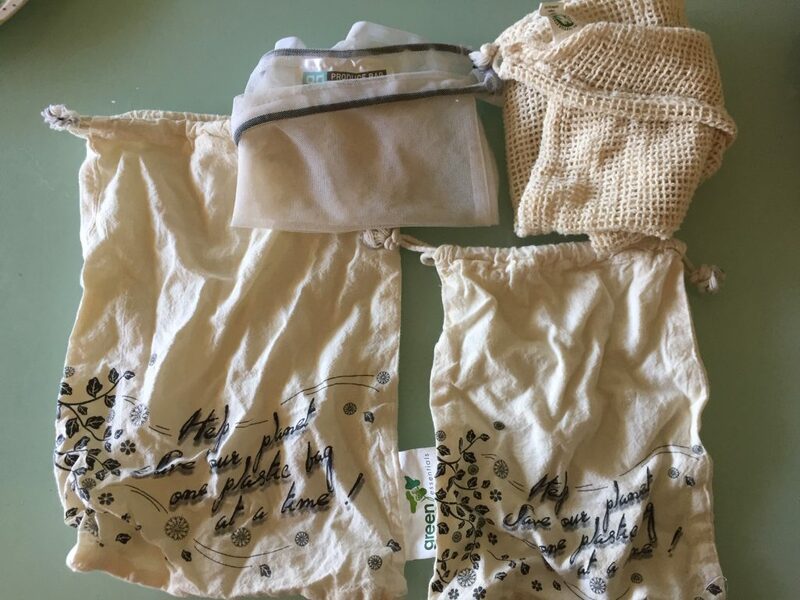 We have different varieties, but mainly use the recycled PET bags (top middle), as they are slightly lighter than the cotton variety. You can purchase the organic cotton variety or rPET variety from Biome, or the rPET variety from Nourished Life. Shop around as the prices vary slightly depending on brand and quantity. What do you think happens to plastic potties when the kids are toilet trained? Does anyone sell or buy second-hand potties? Probably not so often… There are some wonderful biodegradable potties and toddler steps, and we love ours! You’ll see that our potty was scratching our hardwood floors, so we have put some sticky padding around the bottom to prevent this from happening. 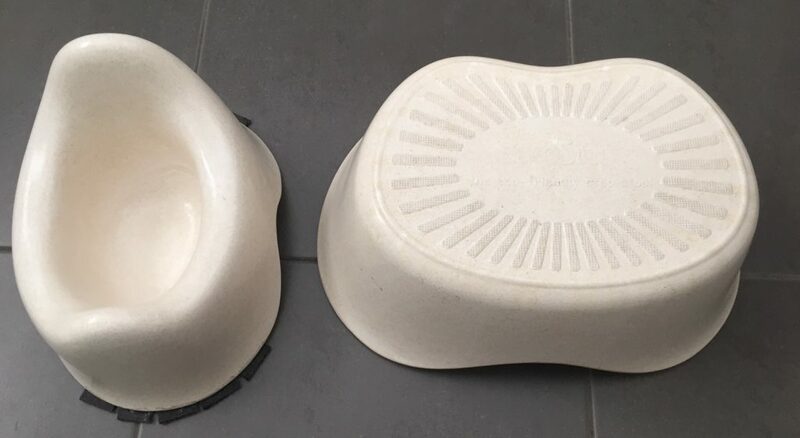 I purchased ours a few years ago in anticipation of toilet training, but in writing this article, I’ve struggled to find ours available online in Australia. I’ve found the step, which you can check out here, but no Beco Potties. But I have found a biodegradable potty for purchase in Australia here. I personally have a full collection of Hanna Pads, but there are many different brands out there. Whilst they don’t come out 100% white with scrubbing and soaking, having them in full sun for a day does wonders, restoring them to nearly new looking. You can purchase from Biome or Nourished Life (Nourished Life currently appears to be slightly cheaper). 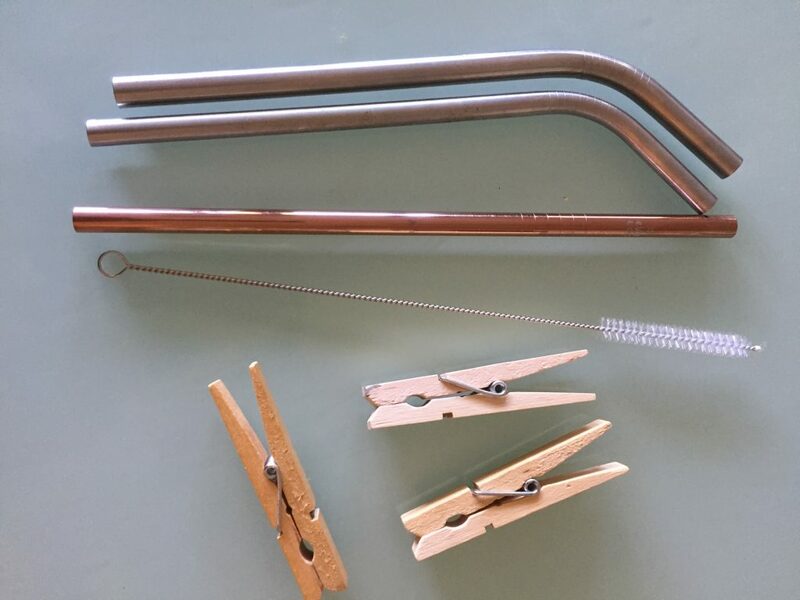 Everyone needs a set of stainless steel straws to add to their cutlery drawer. I even keep a spare one in the nappy bag. This is one of the cheapest plastic-free swaps around. Ideal for toddlers who aren’t ready to drink from a big glass. We have a normal size, plus a few smoothie ones for smoothies and when I add too much bone broth to our vege soups! Plus you can now get rose gold. How pretty! You can purchase from Biome ($2.50-$4.50 per straw) or Nourished Life (4x pack for $12.95). This one is a lifetime investment as it is an expensive outlay, but will last a lifetime. 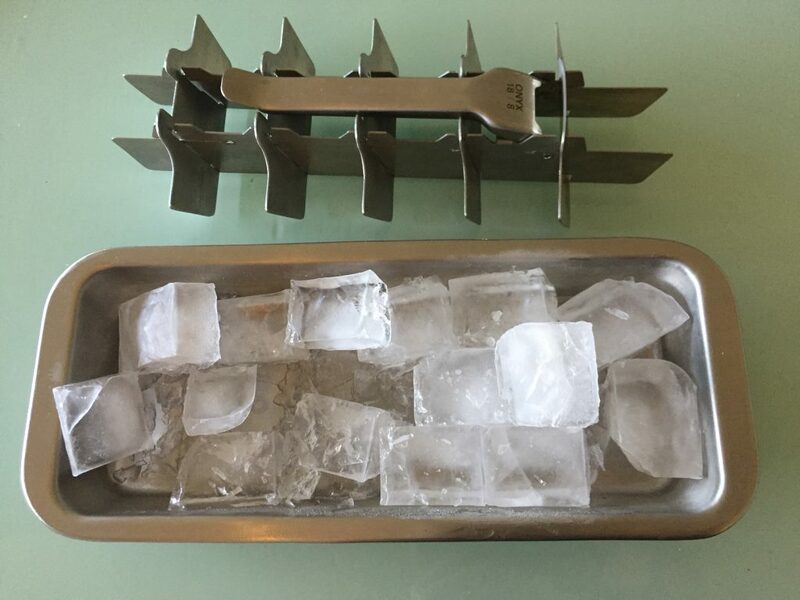 The only downside is it can take a bit of muscle to break the ice initially, or just leave out to defrost for a couple of minutes and then it’s easy! You can invest in this from Biome ($49.95) or I found a bit cheaper at Williams Sonoma ($38). 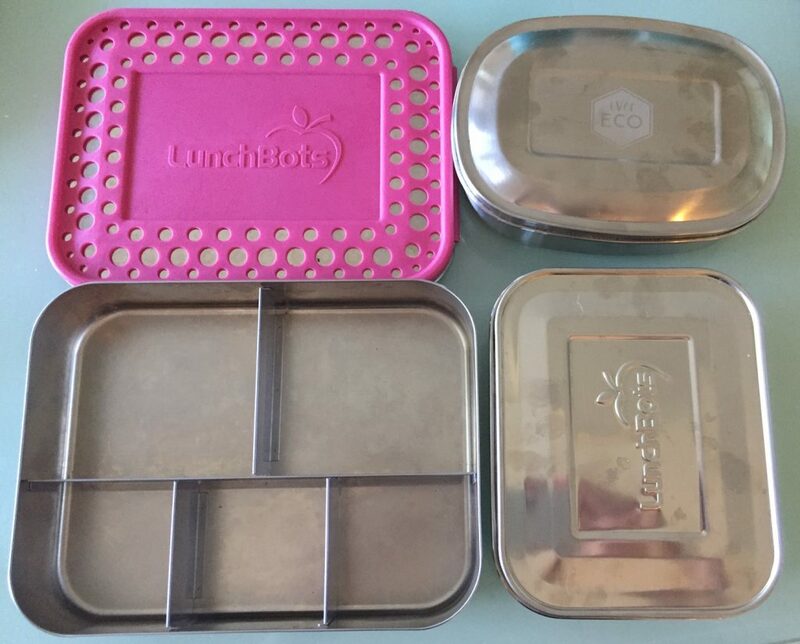 I personally dislike plastic lunch boxes. They are not made to last, with the lids in particular splitting and breaking. Also, I believe even the BPA-free plastic variety are questionable. They are still made of petroleum and another BP-Whatever is added to make the plastic flexible. Who knows what’s being leeching into your food. 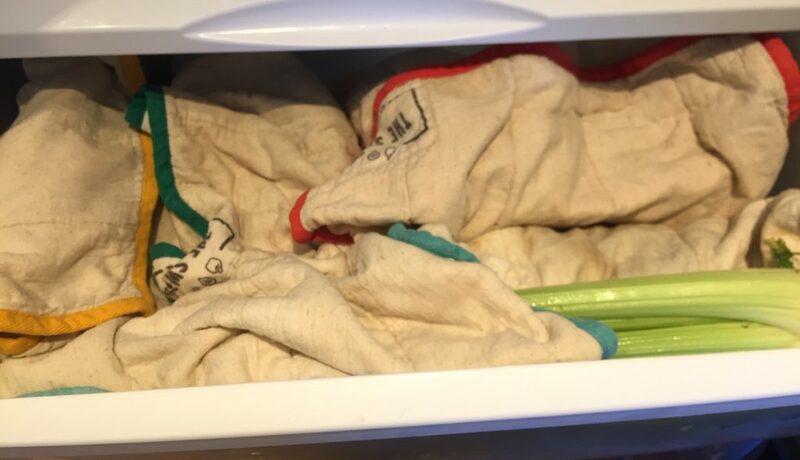 I have some glassware which is great for freezing small portions of things for kids, but stainless steel is wonderful for the kids bag, as there is no risk of it breaking. There is a huge range at Biome in varying prices, and a small range at Nourished Life . 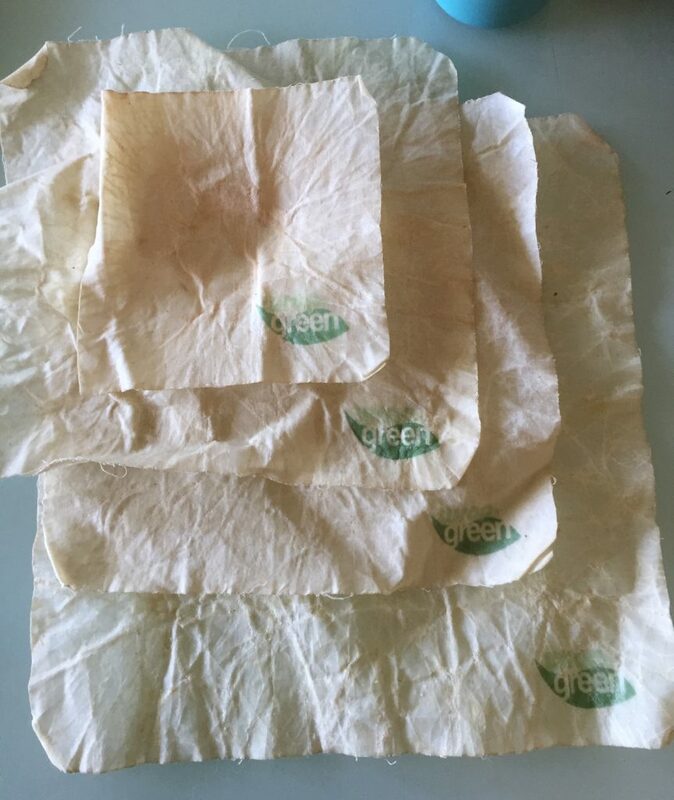 As you can see, these beeswax food covers are well-loved. That is because they were purchased back in 2013 and are still vey functional (coming up to 7 years old!). Nowadays you can get all different prints and colours which is even more exciting! You can also get a vegan version that is made from a plant-based wax too. So ditch the clingwrap and put the planet first. You can purchase many varieties from Biome or Nourished Life (both have 3 packs for $35). Rather than post a photo of our used toothbrushes (read: a bit gross), I decided to post a stock photo instead. Although it’s easy enough to find bamboo handles, the tricky part is the bristles. In my research, I could only find synthetic bristles made of nylon or PBT polyester. 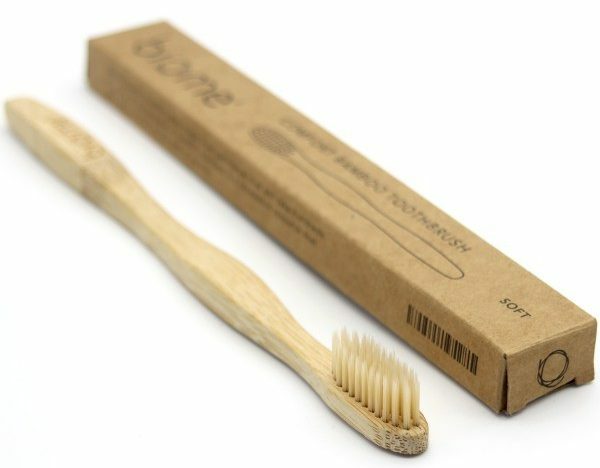 Apparently plant-based bristles only last a matter of days or weeks, and therefore not durable enough for a toothbrush. You can purchase from Biome or Nourished Life (Biome currently appears to be slightly cheaper and has a bigger range). Upgrading can be a very expensive exercise, so I encourage you to consider the small ways you can make a difference first. It’s not all or nothing, every little step helps. Perhaps ask family and friends to purchase gift cards for you for Christmases and Birthdays? There are still plenty of changes I want to make in my household, but financially unable to do so immediately. Also we still have the eco-un-friendly items to work our way through, and I figure that they have already been manufactured and bought, so I might as well use them for as long as possible and attempt to dispose of as carefully as possible before upgrading. Hands down my favourite shop is Biome. I’ve been to one of their stores during a trip to Brisbane, but found the online store has the biggest and most diverse range in nearly every category of your house. Secondly, Nourished Life is awesome for natural beauty products, although most do come inside plastic packaging. However, they also have quite a good kitchen range too. “This shop is a favourite of mine! Liberty Fox has a large and diverse range of beautiful plastic-free products that are organic, fair trade, and sustainable. 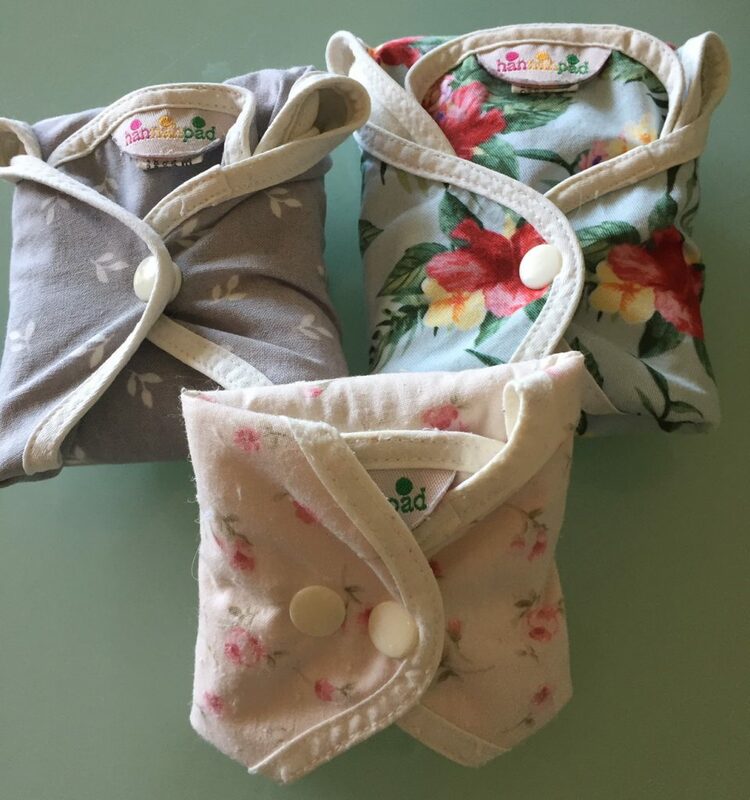 Gorgeous wooden and felt toys, beautiful clothing, feeding and bathing items, and all the other bits and pieces a Mum could need for their little ones. Prices correct at time of publication, but are subject to change. Please note that in the spirit of honesty, I am an affiliate for Biome and Nourished Life, as these are 2 great eco-friendly websites that I personally shop at. If you purchase a product through an affiliate link, your costs will be the same but Coach Kate will receive a small commission. This helps cover some of the costs for this site. I really appreciate your support! This entry was posted in environment, products and tagged plastic-free on January 20, 2019 by Coach Kate.